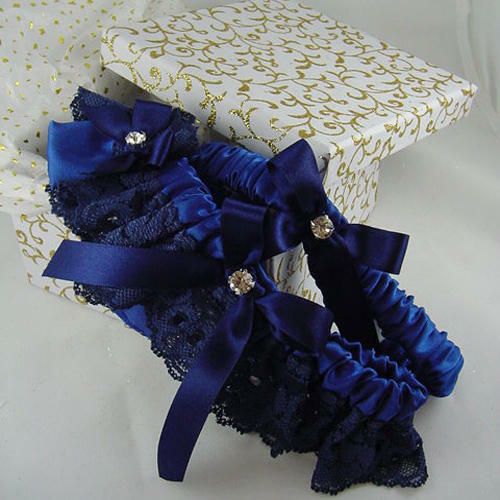 A lovely wedding garter, in softest blue lace! The deep blue lace has a shaped lower edge and is gathered onto a toning satin band. Embellished with a hand-tied satin bow and diamante crystal centre, an elegant alternative to a pale blue garter!